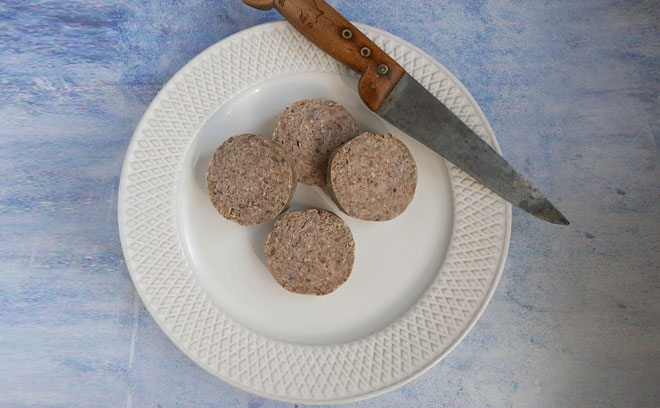 Oats, smoked bacon fat, fresh red onion, cumin and spices come together in this flavoursome sliced white pudding. 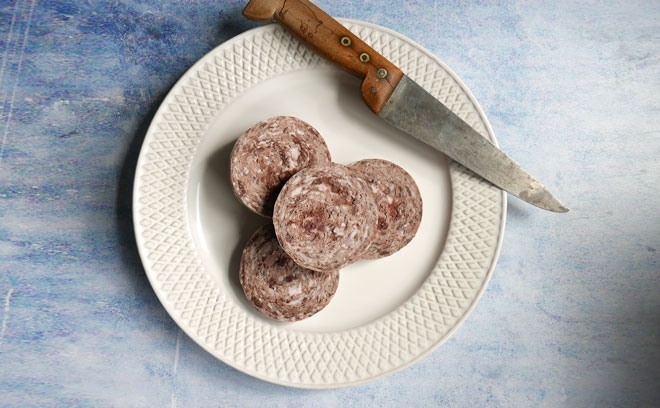 Fruit Pig's white pudding is like no white pudding out there. 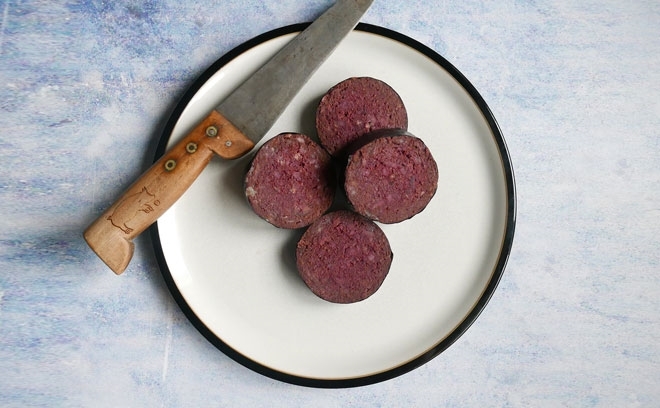 Cut in half and place next to half a slice of our black pudding...hey, presto! Yin-yang breakfast. 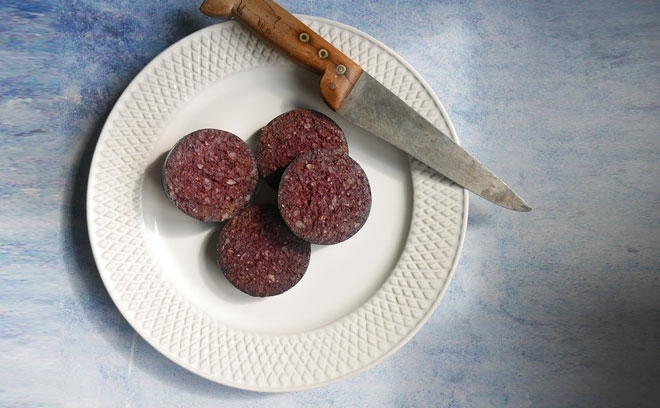 To cook: Remove outer skin, grill or fry both sides to 'crozzle' making sure inside is piping hot. 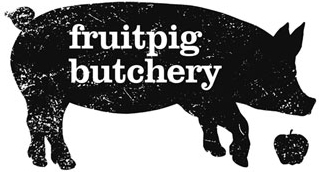 Like every Fruit Pig product that I've sampled, this is exceptional; no ordinary white pudding this. In every sense this is a magisterial pudding - full of flavour and a wonderful texture. 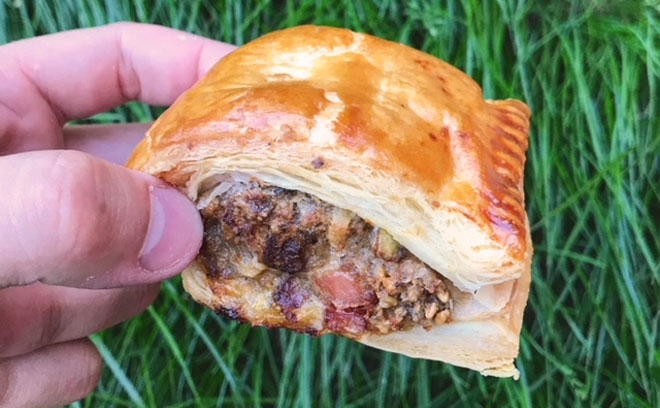 Love this, reminds of Scottish 'mealie pudding' Great flavour and texture, not like a lot of liquidy shop bought white puddings which are pretty tasteless. Just ordered some more! Pork fat, OATS, dry-cured bacon (preservative E250), onions, water, salt, spices. Our ingredient salt contains E535 anti-caking agent. 10 days in the fridge or 4 months in the freezer.